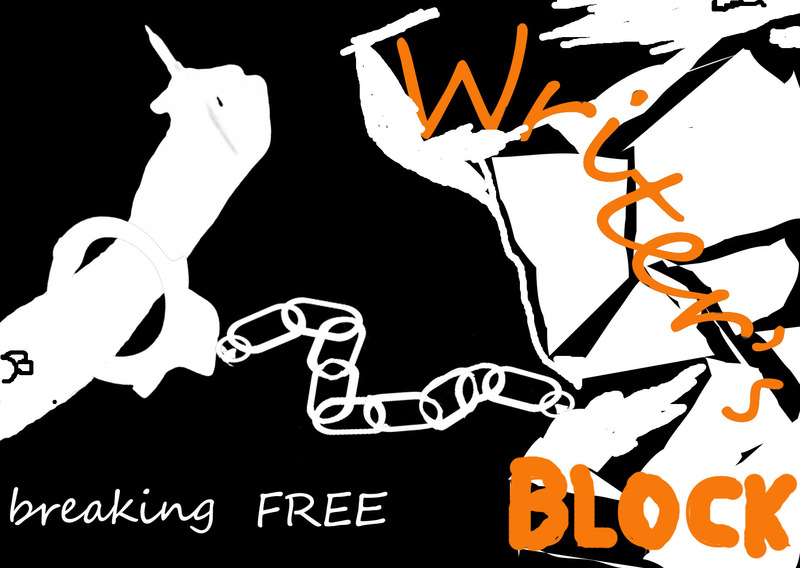 Writer’s block is the condition of being unable to think of what to write or how to proceed with writing. When I try to picture it in my head, I visualise a large immovable block that your writing hand is shackled to, which is why you cannot write…..
Or maybe it is large chopping block where you lay your head as you wait for the axe of creative constipation to chop your silly head off……. Off with your head….. if you can visualize your writer’s block in your head then you are kidding yourself you do not really have writer’s block, your creative mechanism still work; you need to collect and focus your creative energy. To understand writer’s block you first have to understand the psychology of a creative individual. Imagine a writer as a therapist; unconsciously self-psychoanalyzing to resolve inner turmoil via the sublime medium of writing…. In other words writers are batty, how can they not be? There are many other causes for it but these are the most common. Writer’s block is a psychological condition and as with all psychological manifestations its treatment should be some feel good therapeutic exercise…. If I had a holy grail solution to dealing with writer’s block; I would probably be selling it in a set of 25 motivational DVDs at $1.99 a DVD and after you had bought the entire set you would find that you were no closer to getting past your writer’s block than when you started; that’s because writing is not an exact science, it is an art; and art has no rules; it has No Chill. If you were having coffee with me, I would tell you that I’ve been having a writer’s block but I’M BACK!!! Love this. Thanks for the tips. Great Post! Will refer to it when I get writer’s block! Haven’t yet but I am sure I will! Thanks….. I never really get writer’s block either hahaha but figured hey lemme share my two cents on the subject maybe thats why I never actually get it…..